Little girl totally blows us away with cover of Nicki Minaj's "Super Bass"
(CBS) - Wow. Simply wow. I went into this video thinking I would watch a little girl perform an adorable attempt at singing Nicki Minaj's "Super Bass". I finished totally impressed by this girl, whose performance was more than just an adorable attempt. Watch and see. Don't get me wrong, the performance is still totally adorable, of course. 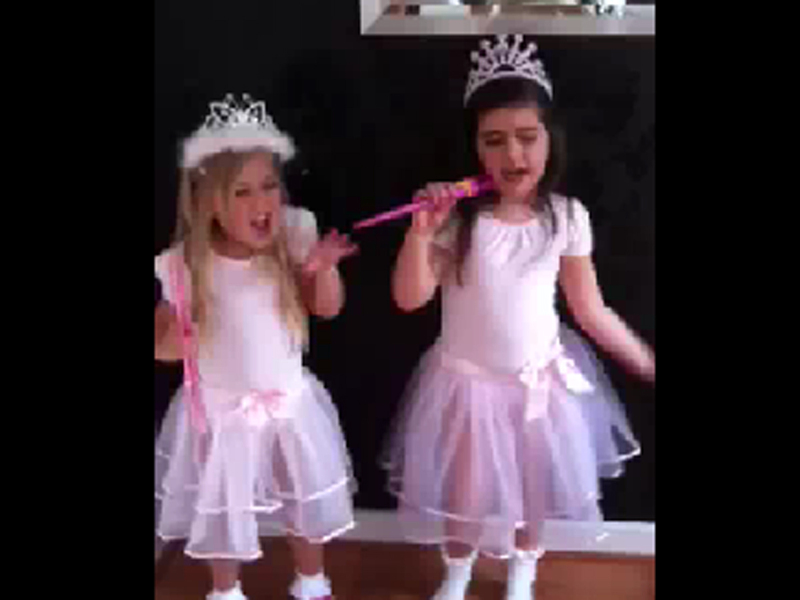 But the young girl in question, Sophia Grace Brownlee, can actually really sing! We here at The Feed would like to give Sophia a triple-rainbow salute for her surprisingly good cover. And if you'd like to check out more videos of her performing, you can go to her YouTube page by clicking here.